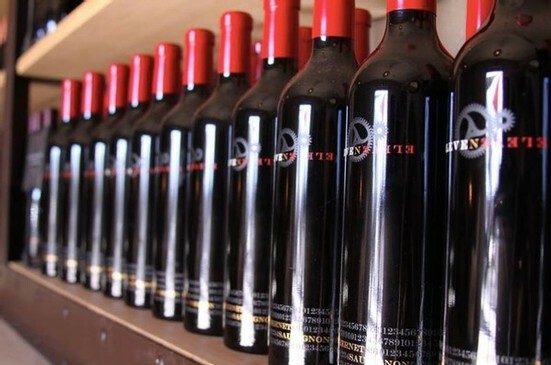 The Eleven Eleven Winery® is a place for wine…and much more. 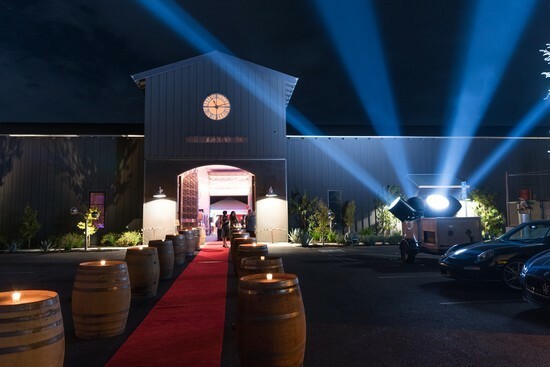 We are well-known for hosting remarkable events throughout the year that celebrate wine, art, music, movement and entertainment. Eleven Eleven events are memorable, exceptional and never fail to surprise. 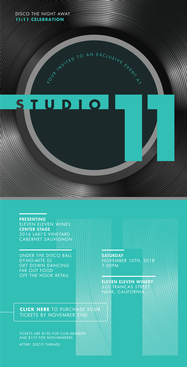 Our annual 11:11® Anniversary party takes place every November 11th, and we celebrate the release of our signature wines with a Reds Release Party and Whites Release Party in the winter and summer. Join our mailing list and receive early announcements on upcoming events. 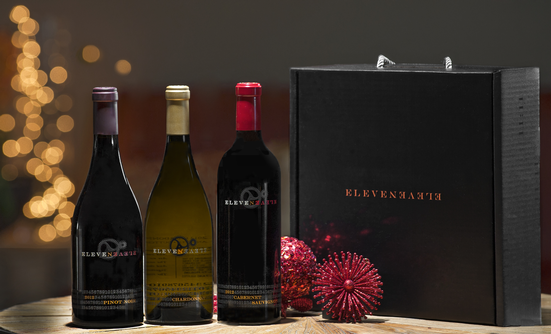 Join Eleven Eleven in celebrating our newest vintages at our Red Release Party on Saturday, March 30 from 11 am to 3 pm. Make Your Moment® as you enjoy delicious delights and sip your way through the newest reds to hit our portfolio. Featuring a "pop-up" exhibition and live fine art performance by Jermaine Dante' Burse who is known for creating vibrant colored portraits of pop icons, as well as fine art that is socially charged: "My objective is to captivate your visual palette with pop, vintage and spontaneous realism artwork". Make Your Moment® this holiday season by joining Eleven Eleven on Sunday, December 9th from 3 to 5 pm for an afternoon of wine and merriment. Save your Spot: RSVP to this exclusive premiere event by November 30th before tickets sell out. 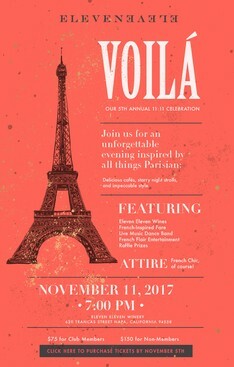 Celebrate our 5 year anniversary with a Parisan themed event filled with entertainment, food, wine and surprises! Celebrate with us as we proudly introduce our highly rated new red releases: 2014 Cabernet Sauvignon, Laki’s Vineyard, Oak Knoll AVA, 94+ points, Wine Advocate and our 2014 Syrah, Oak Knoll Vineyard, Oak Knoll AVA, 90 points, Wine Advocate and our 2014 Pinot Noir, Bacigalupi Vineyard, Russian River Valley AVA. 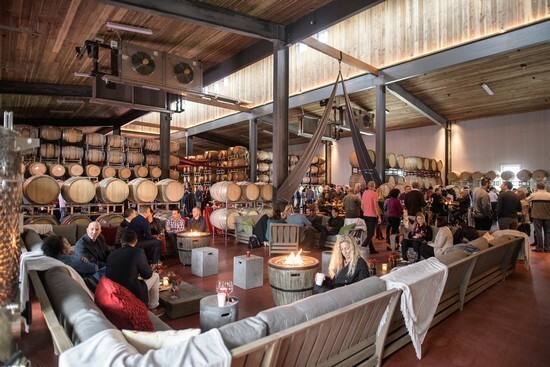 Indulge your senses in Daytime Decadence while enjoying devilishly good food prepared by Smoke Open Fire, delightfully sinful sweet treats and surprise decadent experiences in our new Barrel Cellar Room and outdoor tasting lounge. Complimentary valet provided. Eleven Eleven is a destination to ignite your passion for fine wine in a warm and inviting environment where you can explore your creativity and all your senses are mesmerized. Partners Ellie Anest, Carol Vassiliadis and Aurelien Roulin treat you to the ultimate Eleven Eleven anniversary celebration complete with music, entertainment and decadent dessert bars.